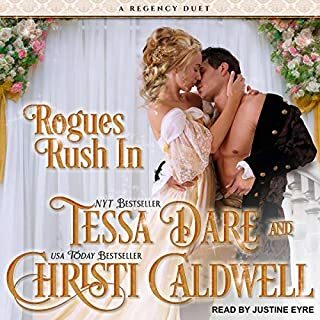 Two years after the death of the Earl of Riverdale, his family has overcome the shame of being stripped of their titles and fortune - except for his onetime countess, Viola. 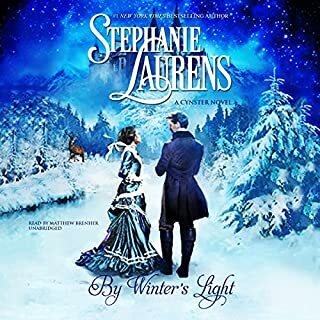 With her children grown and herself no longer part of the social whirl of the ton, she is uncertain where to look for happiness - until quite by accident her path crosses once again with that of the Marquess of Dorchester, Marcel Lamarr. Marcel Lamarr has been a notorious womanizer since the death of his wife nearly 20 years earlier. Viola caught his eye when she herself was a young mother, but she evaded his seduction at the time. A prize that eluded him before, she is all the more irresistible to him now although he is surprised to discover that she is as eager now for the excitement he offers as he is himself. Thank goodness for this book featuring two adults coming together after 20 years of being buffeted by life. I am fairly bored by 19 year old virgins these days since that time is a barely remembered 50 years in my past. Mary Balogh creates complex characters with individual lives, products of both experiences and upbringing. Rosalyn Landor is a gifted reader with the ability to express individual voices. I have never heard her mispronounce a word in the many, many books she has recorded that I have heard, some more than once. Highly recommended with no reservations. Mary Balogh has another winner! 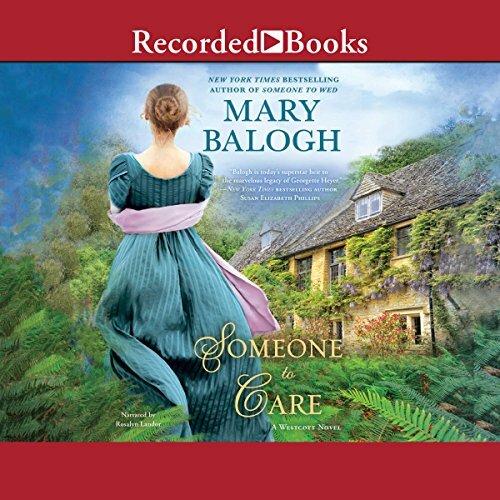 Someone To Care is part of a series, and though the story would be entertaining on its own, some parts just won’t have the same significance without reading the previous 3 books. 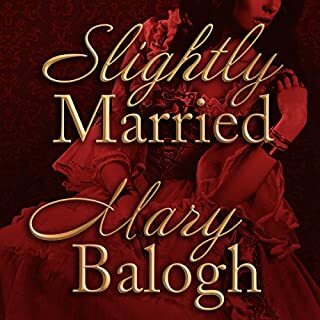 The winning combination of Mary Balogh’s writing coupled with Rosalyn Landor’s narration makes the audio version of this book a treat for the ears. 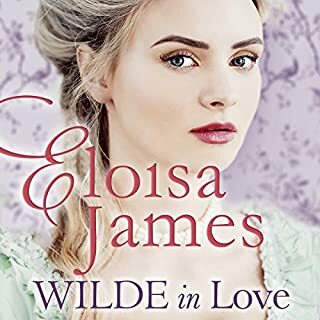 If you’re unfamiliar with this author, this is Regency romance written by a true Brit! 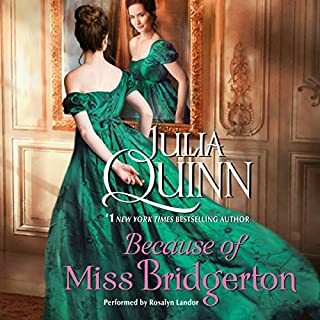 In this book we have the former Countess of Riverdale , Viola, running away to escape how crazy her life has become since finding out her marriage was invalid. I like to call it a mini mental health break. 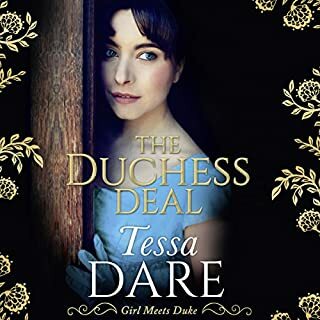 By chance she stays at the same inn as the Marquess of Dorchester, Marcel Lamarr, whom she knew and was attracted to when she was a young neglected wife. Marcel is a widower of 20 years, and feels tremendous guilt over how his young bride died. He remembers Viola and his attraction to her becomes renewed. Though Marcel is supposed to be going to his estate to tend to his children and estate responsibilities, he too wants to run away, so they decide to do it together! So what happens when two grown adults decide to take a little time out for themselves? The whole world goes crazy!! There are a lot of themes running through this book, some shallow, many deep, and I don’t want to write a 10 page review to explain them all. But suffice it to say that all types of readers will enjoy this book. 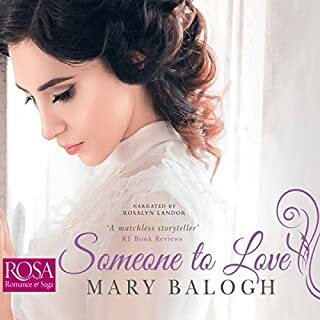 I love Mary Balogh, I love Rosalyn Landor, and I LOVE the Westcott Series, so I was so excited for this book to come out, especially the audio version! Well, I was not disappointed -- it was great! 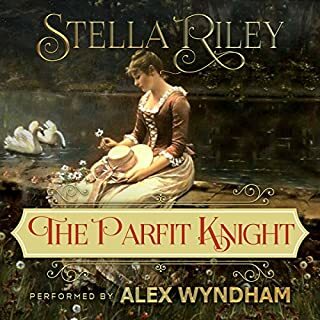 This is the story of Viola Kingsley, who we met in earlier novels when she was revealed to be bigamously married to the late Earl of Riverdale. Now, stripped of her title, so there of her children now beating the shame of illegitimacy, she struggles to find her way amongst the ton. Quite by happenstance, while at a country inn alone, she meets up with a former acquaintance, with whom she had had brief mild flirtation many years before. While talking with Marcel Lamarr, now the Marquess of Dorchester, it becomes clear that the attraction is still there for them both. What if they acted upon it...? 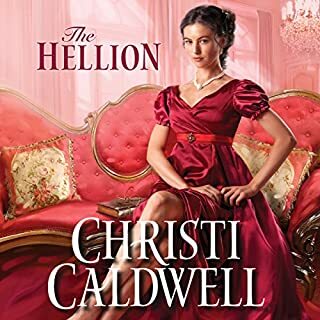 Read the story, listen to the narration -- I can't wait for the next in the series! Ms. Balogh and Ms Landor are a team to be reckoned with. Ms. Balogh writes the wonderful stories and fabulous Ms. Landor brings them to life. The voice overs Ms. Landor does for the characters can not be match by any other narrator that I have listened too. I'v been a member of Audible for 12 years so I know what i'm talking about. Ms. Balogh please keep these fabulous stories coming and please have them read by RL. This tender hearted story gives women hope and faith that love can be found at any age. It's not just for the young. Viola is not as cool, as I had hoped. She has a fabulous midlife crisis. She runs away, with a dude that is superiorly endowed 😂 their getaway, sounds like a place I wou6never want to leave. A cottage in the country. She's intensely neurotic. I wish they made her more decisive, with far more backbone. I expected more, instead the Audible version seemed stressful. I have been enjoying this series until this book. First half was great but with the miscommunication between the main characters that stretched on for chapters, the second half dragged. So enjoy following the Westcott family. Mary Balogh presents engrossing stories. Rosalyn Landor’s narration is pleasing to the ears and varied in tone and accent for each character. 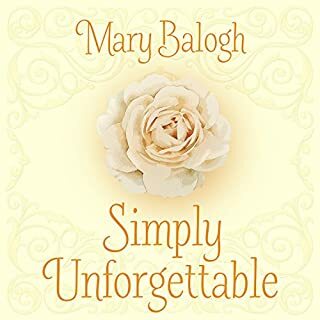 I love Mary Balogh, I think I have every book that Audible has of hers. This particular series is very good. The heroine of this story is older, which I find appealing. 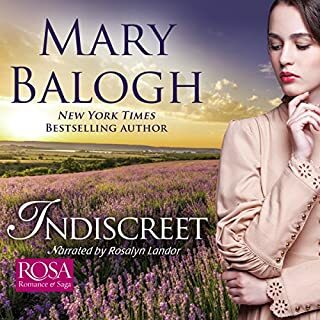 Of course, the combination of Mary Balogh and Rosalyn Landor is unbeatable!